I find value in buildings as they’ve evolved through time: no need to annihilate everything after 1800 for me. And no need to furnish houses to the max, either. I like seeing original items in historic houses, but I’d rather see them empty than with repros, or even “of the period” furnishing. It’s the buildings themselves capture me: I want to be an architectural historian when I grow up. 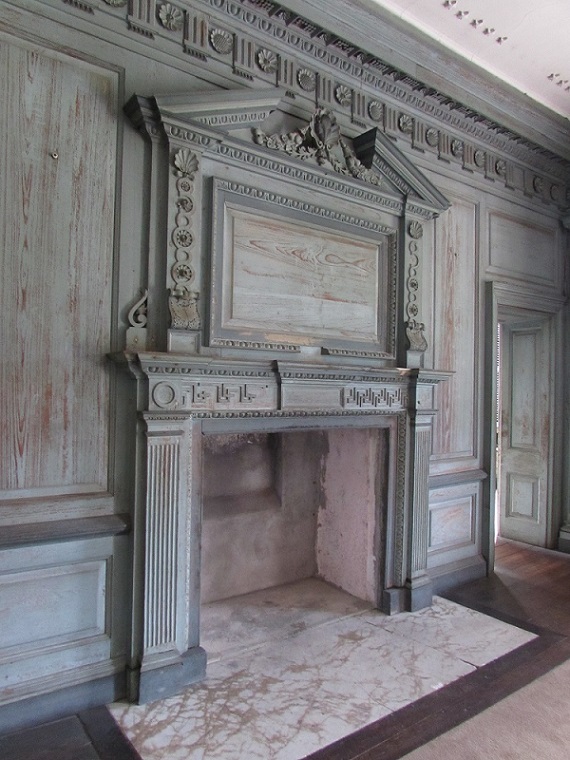 So how happy was I to find Drayton Hall, a former rice plantation just outside of Charleston, South Carolina, with a circa 1738 house that was being preserved, but not restored, by the National Trust for Historic Preservation. By preserved, they mean that they’re keeping it as close as possible to what it was when the Drayton family sold it to them in 1974. Repaired and kept up, but not taken back to what it was earlier in its life. And definitely not furnished. Good for the History Tourist because it gave me the opportunity to see the architectural elements without the furnishings obscuring the view. We had to take the tour to see the house and the tour guide was not my all-time favorite. Let’s not sugar coat it: I found her pompous and annoying. Some of the rooms on the second floor were closed to us (too bad, because I’d like to have seen the 20th century additions, like bathrooms). 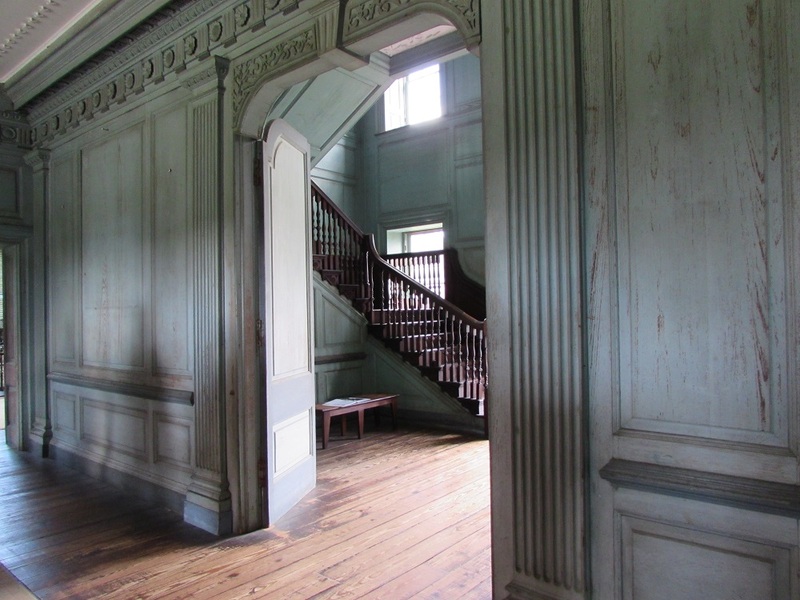 “On the right is Frank’s bedroom,” the guide said, pointing to a closed door off the ballroom. “And I know that it was because he told me.” Lots of current Drayton name dropping on her part, and lots of eye rolling on mine. Drayton does its best to include the story of the enslaved Africans who worked there. 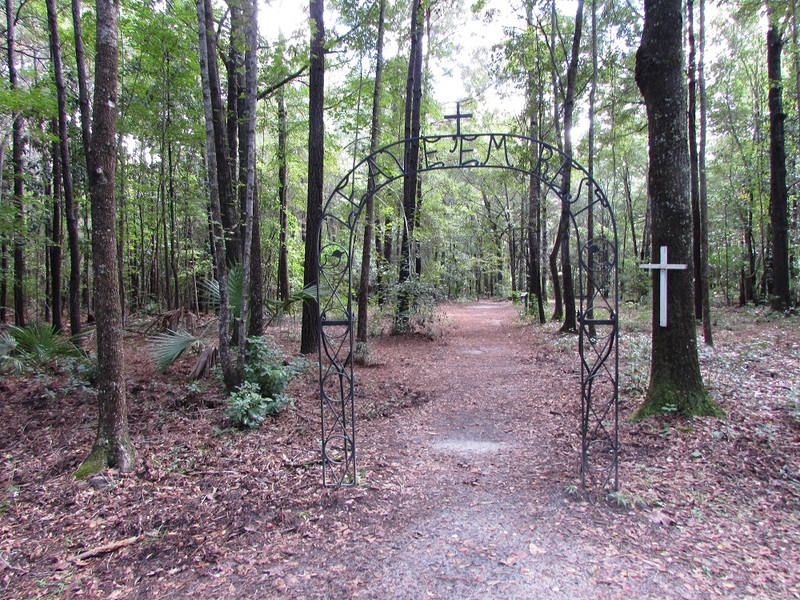 They’ve preserved a slave cemetery and recently, one of the best ironwork artists in Charleston created a memorial gate for it. It’s hard to see in my photo, but incorporated in the work are the words “Leave ’em rest.” It’s a shame that the pretour program that was supposed to be the Drayton slave story was the most boring lecture (by pompous guide) on rice cultivation in history. And as I always say, if history-minutiae-obsessed me is bored, there’s no hope for anyone else. There’s also a self guided tour of the gardens, and 120 acres that we were free to roam. And an online tour of the house, on their website. Drayton is a stunningly beautiful property with an interesting history, so don’t let my negativity about one tour guide dissuade you from visiting. 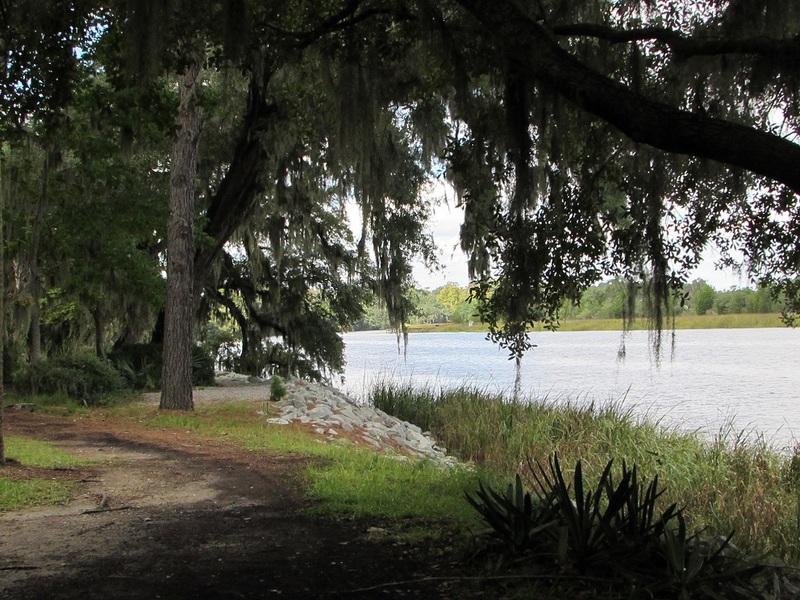 I’ve been to all of the Ashley River Plantations open to the public, and Drayton is my favorite. My wish for you is that you have a different guide. But just in case you don’t, bring a flask. 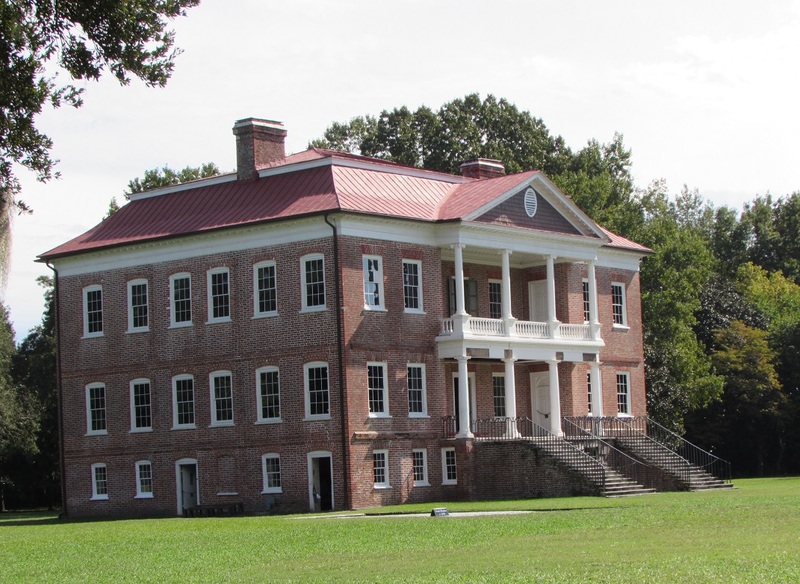 My mom and I visited Drayton Hall back in 2004 on our trip to the South. We both loved it and appreciated that they didn’t try to take it back to a modern interpretation of what it would have been like. And I don’t believe that even if they did show you the 2nd floor, that you would have seen a bathroom. My understanding is that plumbing, central heating and electricity were never added. I so want to go back there! Wow — people lived there well into the 20th century without plumbing, central heating or electricity? Thanks for the info. I didn’t remember that part of the story. The online tour of the house has a shot with the doors to the rooms open, and there doesn’t look like anything in there. Crazy isn’t it!? Although I think it wasn’t a full-time home by then, just a summer/weekend home. I’ve heard that “no electricity or plumbing because it was only a summer/weekend house” story at other historic houses. I think I’d need indoor plumbing, even if it was only there a few weeks out of the year. Maybe I could do without electricity. And I guess I could deal with the bath thing (particularly if I had servants to heat and carry bath water). But I really need an indoor privy and I need it to flush. Amazing that this stunning house survived without major changes. I heard that most of it has only had one coat of interior paint. I love the woodwork and not having furnishings does make it easier to admire that, but it is usually the furnishings and textiles that bring the rooms to life for me. It was a stunning house and the interior woodwork was the standout. Love that pale blue-gray wash that they had on the walls. Wish I could get that affect on my suburban tract home.